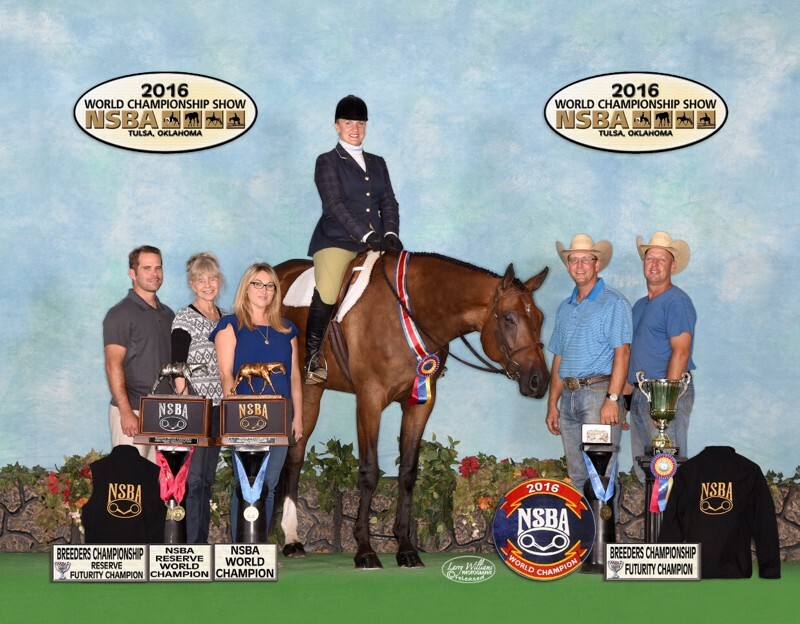 The World and Congress Champion pleasure producing breeding farm that specializes in World Caliber Western Pleasure, Huntseat and All Around Horses since 1983. * MULTIPLE CONGRESS CHAMPION SIRE. * MULTIPLE WORLD CHAMPION SIRE. * TOM POWERS MULTIPLE CHAMPION SIRE. 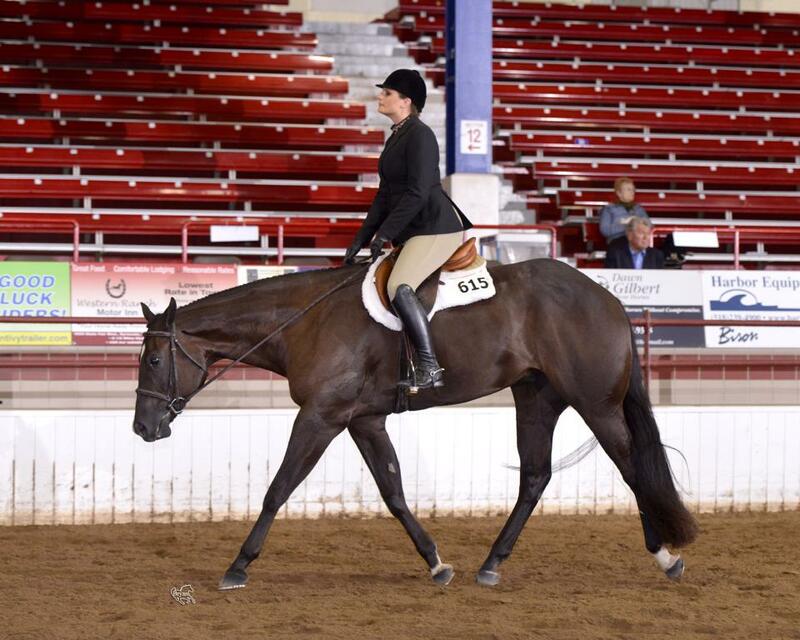 * NSBA MULITPLE WORLD CHAMPION SIRE. 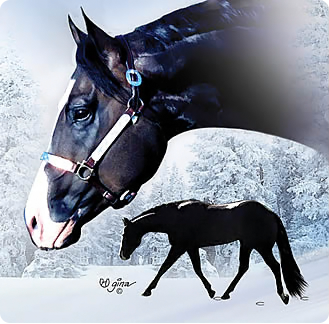 * REICHERT CELEBRATION MULTIPLE CHAMPION SIRE. 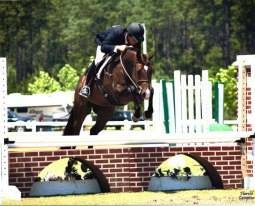 * SOUTHERN BELLE MULTIPLE CHAMPION SIRE. * LITTLE FUTURITY MULTIPLE CHAMPION SIRE. 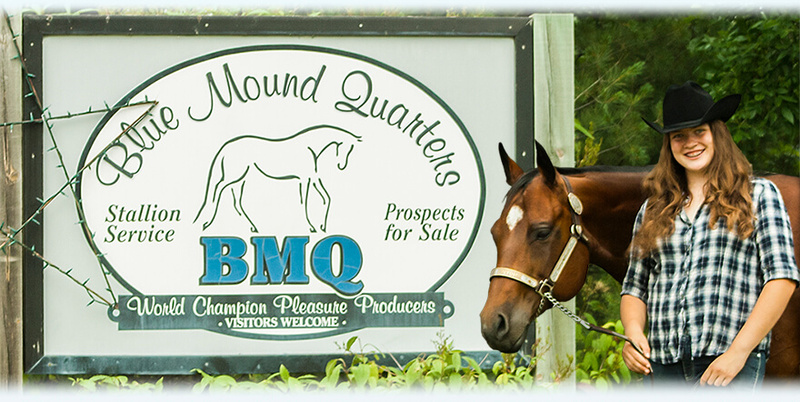 BMQ LEGACY is a true black 16.2H (AQHA/APHA FULL double registered stallion) own son of Deck of Stars (Multiple World Champion sire in pleasure) out of the best ever daughter of The Epitome! 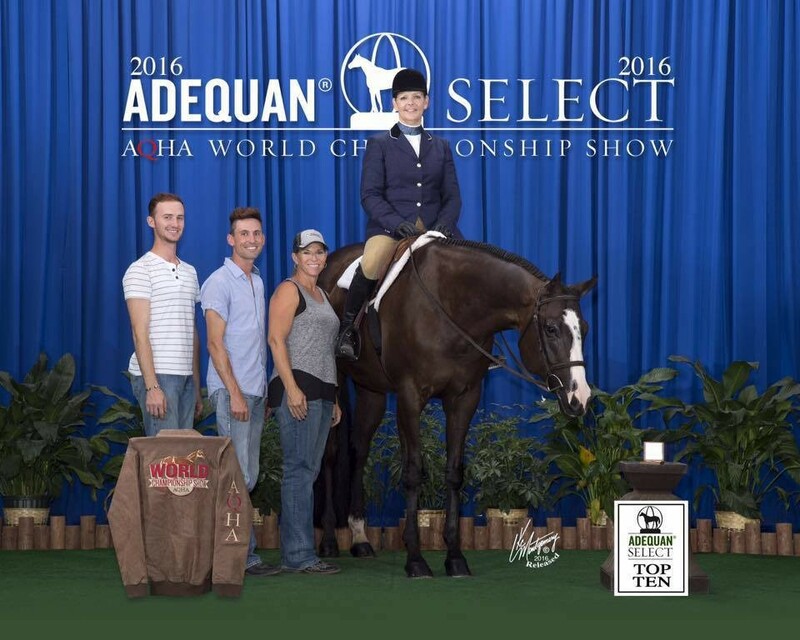 His dam is a Full sister to AQHA CHAMPION and Congress medal earners and multiple Hi Point state all around horse! With his proven production and performance records on both sides of his impeccable pedigree! 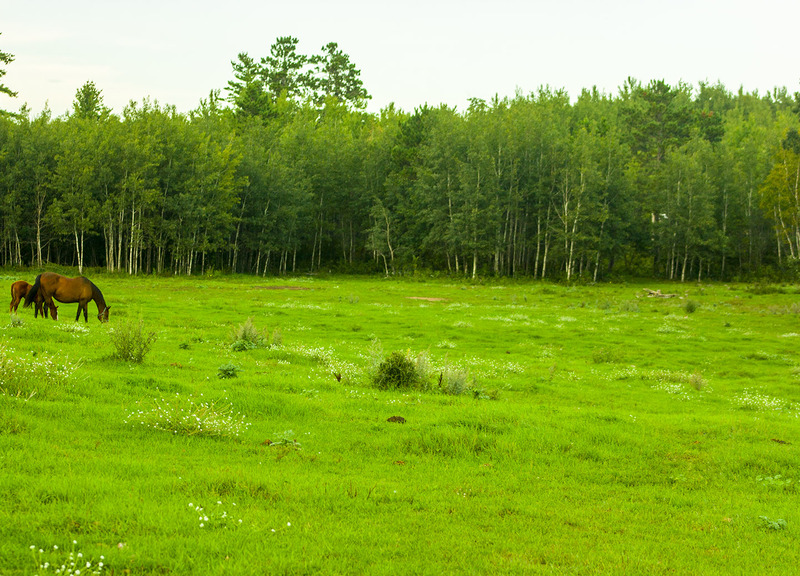 Meet some of our latest champions! With Counrtney Suthof, Multiple NSBA World Champion and Breeder's Championship Fururity (3-6) Champion. Watch out for these two! 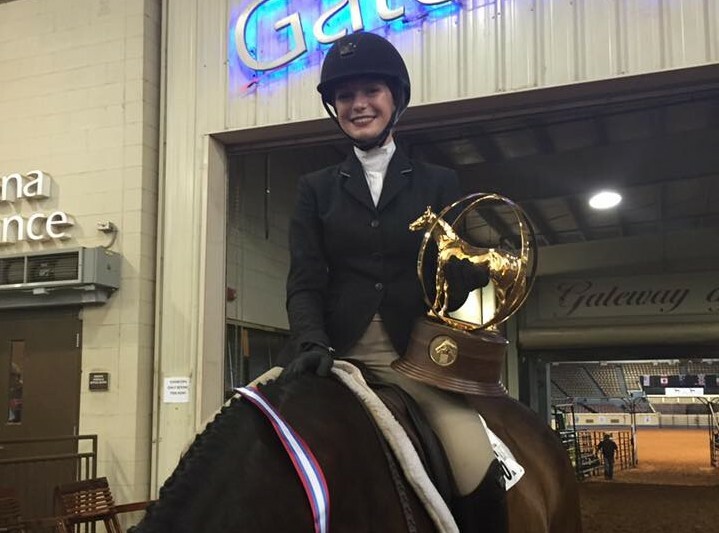 Amy Moore in top 10 at AQHA Select World! We are so proud! 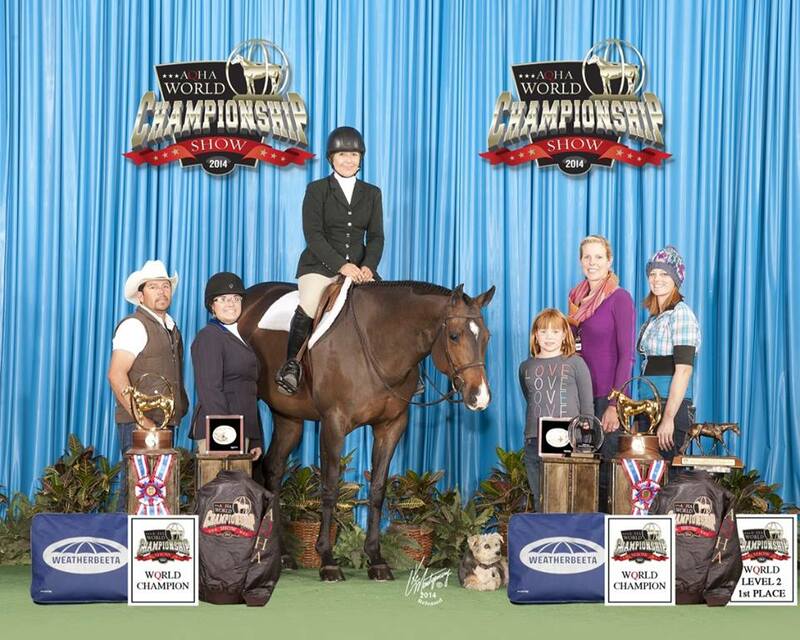 Double APHA World Champion in Youth HUS! 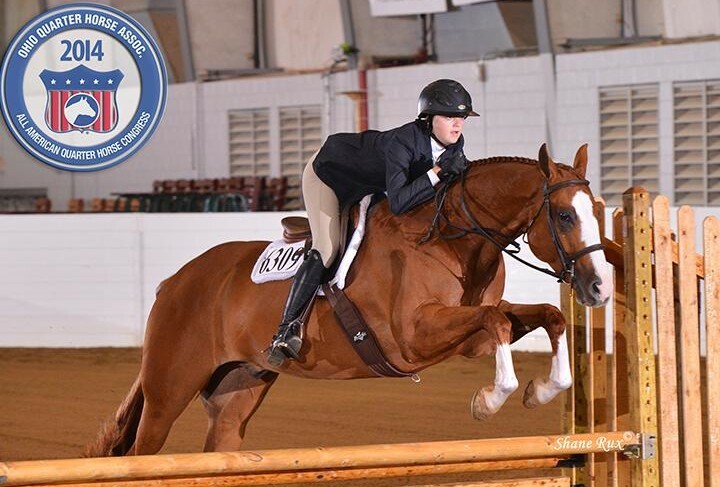 With rider Becky Meadows, he placed 14th at the AQHA World Show in Jr. Hunter Hack! Had a TREMENDOUS run in Congress, placing Top Ten finish in each of his classes! Also placing Top 15 in the AQHA World Show! 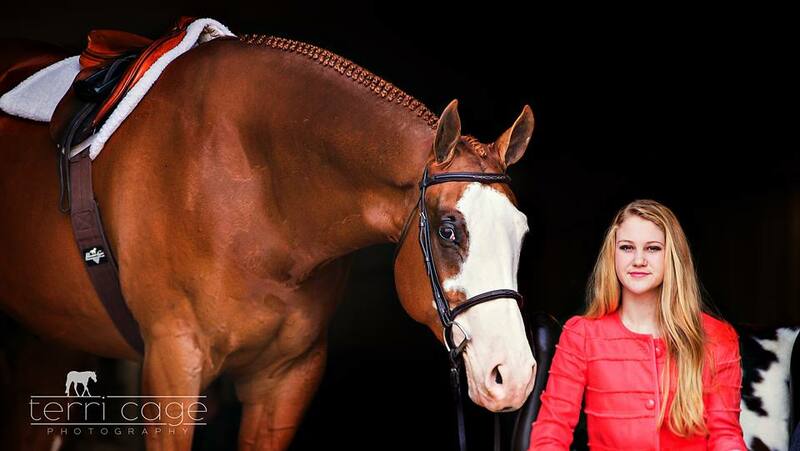 Hunter Hack and Progressive Working Hunter!